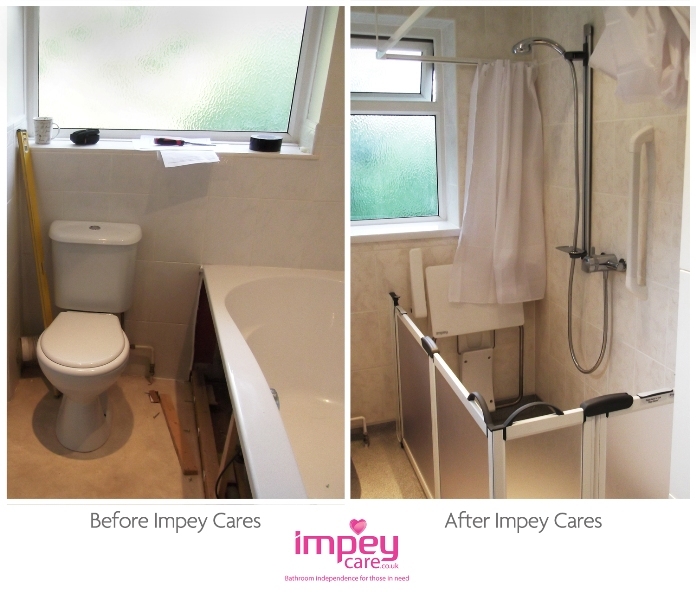 A leading Seaman in the Royal Navy left disabled following an accident whilst serving on-shore has had the daily struggle of bathing eased thanks to a wetroom donated by Impey Cares. Karl was selected to win the wetroom from hundreds of applications from across the UK. 51-year-old Karl and his wife of 18 years, Hazel, applied for a Disabled Facilities Grant to have their bathroom adapted but were turned down because Hazel works full-time and Karl receives a military pension. Karl Britton from Horndean in Hampshire has served in conflicts around the world including The Falklands, Bosnia, and the Gulf, but received his most serious and debilitating injuries on home territory after suffering a fall whilst working in a warehouse in London. The injuries inflicted on the trained marksman caused permanent damage to his knees, which led to him being medically discharged from the navy where he had served since being a teenager. 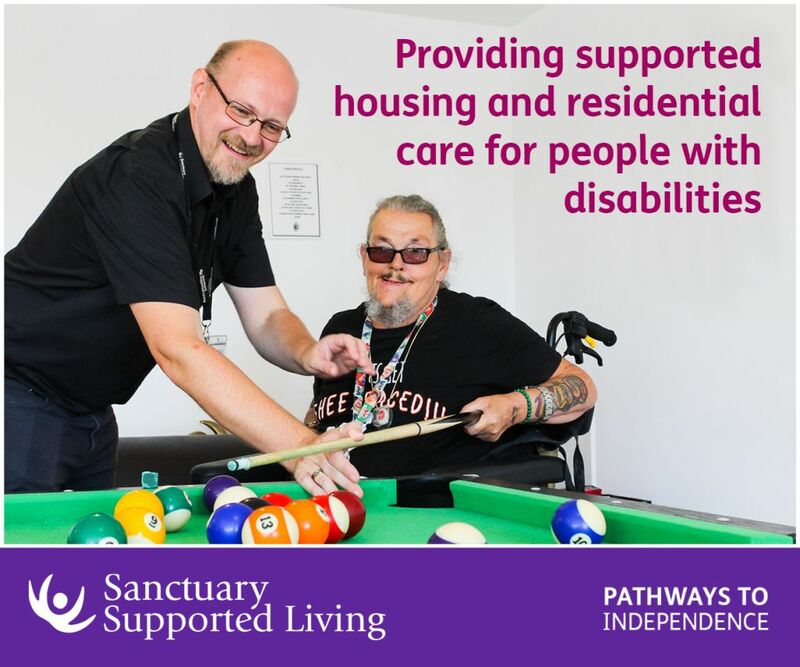 Since the accident in June 1999 Karl has lived in constant pain and has to deal with restricted mobility which has affected his ability to carry out everyday tasks. 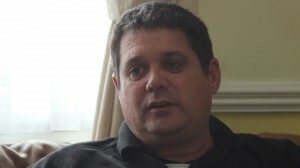 Determined not to let his injuries beat him, he pursued a new career as a support worker for people living with mental health issues, but in July 2012 was forced to stand down from the position after being diagnosed with degenerative osteoarthritis in both legs. Dad-of-two Karl is determined to do his best to carry on as normally as possible, but is finding day-to-day tasks harder without strong medication. But now Karl is reaping the benefits of a new £5000 level access shower provided by leading wetroom suppliers Impey Showers and leading UK disabled bathroom contractors, Euro Contracts as part of its Impey Cares initiative. Karl said his new wetroom has made a huge difference to his life. “I cannot believe I have won this amazing wetroom from Impey Showers. Before I had a wetroom, showering was incredibly difficult for me. Neil Whitehead, from Impey Showers, said: “We’re thrilled with the difference the new wetroom is making to Karl’s life – a man who has served his country with such dedication. The Impey Cares scheme was set up in 2012 to represent the interests of those with mobility problems including vulnerable, disabled and elderly people, and to raise awareness of their increasingly difficult situation following the government’s austerity measures which have resulted in funding cuts. Impey Cares offers wetroom adaptations to those who have been refused funding from the local authority through a Disabled Facilities Grant. 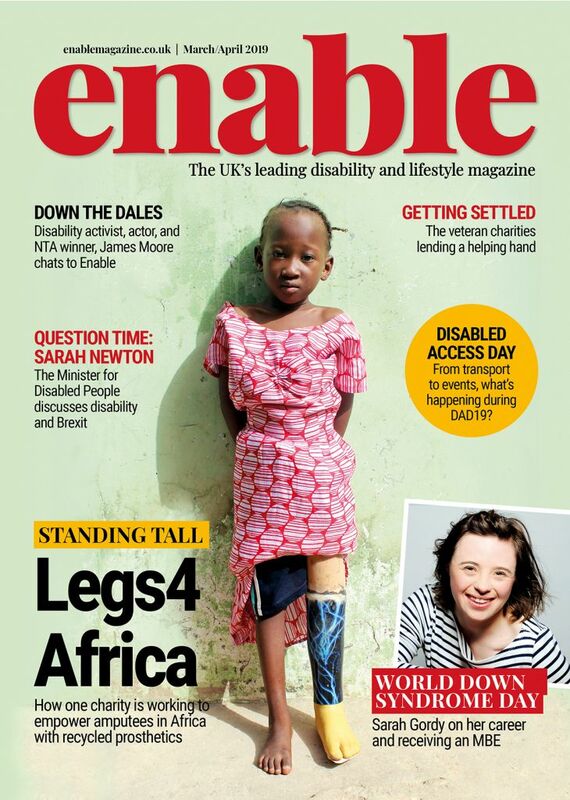 At the same time, the company hopes the scheme and its Impey Charter – which is calling for everyone to have access to suitable facilities to enable independent living – will raise awareness of the huge number of people Impey has discovered who are living without adequate wetroom equipment. The new suite includes products such as: Freedom air assisted shower doors, a white Slimfold shower seat, 1500 x 800 Level-Dec EasyFit, a Mira Select Shower and Maxi Grip hand rails. Visit www.impeycare.co.uk to apply for a free wetroom. Follow the Impey Cares campaign online: Send us a tweet @impeycares; ‘Like’ us on Facebook.com/impeycares; and visit www.impeycare.co.uk to watch video interviews with those who have received a wetroom adaptation, to nominate someone in need and to sign the Impey Cares Charter. Be the first to comment on "Hampshire military man gets a helping hand from Impey Cares"